The parade starts at 9:00AM. In spite of there being no seat belts nor seat belt lights, passengers must be prepared to remain seated for the entire low-level flight down Main Street. Parachutes will not be available so no exiting will be allowed until the final Landing Zone is reached and with pilot permission. [stextbox id="download" caption="Logistics" align="center"]Arrive at 8:00am for a pre-flight briefing. [stextbox id="alert" caption="Important" align="center"]Scouts and adult leaders in Class A uniforms. Bring enough water, sunscreen, hats. Closed-toe shoes required. No flip-flops or sandals. No candy, no gum, no food. [stextbox id="info" caption="Parking" align="center"]You can park at the following parking lots (see Staging Areas and Parking Lot Map). We've been invited by the Vietnam Veterans of Diablo Valley and Concord to march/ride along with them INSIDE a Vietnam era Huey helicopter at the the Kiwanis Danville 4th of July parade. Along with this honor comes responsibility. Our pack is being offered the opportunity to wash the Huey on July 3rd at 7 PM. Buckets, wash cloths and clean water will be provided. The Huey is at the base of the control tower at Buchannan Field (Concord, CA), at the end of John Glenn Dr. Scouts who participate in the helicopter wash will be able to ride in the helicopter during the parade the next day. 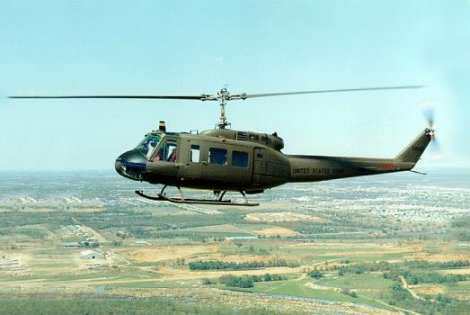 Please note that participation in the Huey wash is MANDATORY to ride in the Huey during the parade the next day. Scout who cannot attend the Huey wash on July 3rd at 7 PM can march along side the Huey. All scouts need to be at the parade start at 8:00 AM July 4th. Complete details of the parade will be posted after June 30th. Please note that only cub scouts from Pack 1776 who participate in the wash, have a signed permission slip and are in class A uniform can ride on the Huey. Family members and guests are welcome to walk along side the Huey during the parade. [stextbox id="alert" caption="Important" align="center"]Scouts and adult participants in Class A uniforms. We've been invited by the Vietnam Veterans of Diablo Valley and Concord to march/ride along with them INSIDE a Vietnam era Huey helicopter at the the Kiwanis Danville 4th of July parade. Along with this honor comes responsibility. Our pack is being offered the opportunity to wash the Huey on July 3rd at 4 PM. Buckets, wash cloths and clean water will be provided. The Huey is at the base of the control tower at Buchannan Field (Concord, CA), at the end of John Glenn Dr. Scouts who participate in the helicopter wash will be able to ride in the helicopter during the parade the next day. 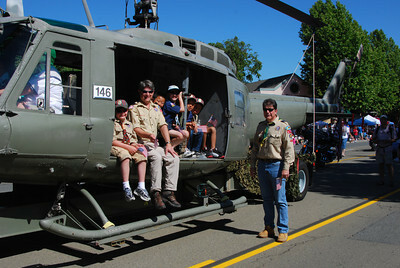 Please note that participation in the Huey wash is MANDATORY to ride in the Huey during the parade the next day. 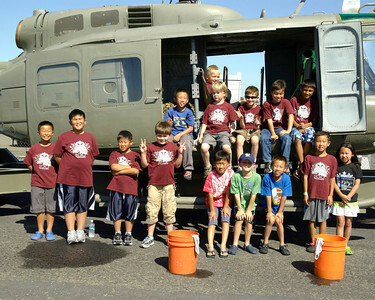 Scout who cannot attend the Huey wash on July 3rd at 4 PM can march along side the Huey. All scouts need to be at the parade start at 8:00 AM July 4th. Complete details of the parade will be posted after June 30th. More information at the original post. Danville Fourth of July Parade and a Huey Helicopter! We have been offered a unique opportunity for the Danville, Fourth of July parade. Our Pack will be allowed to march along with a Vietnam era Huey helicopter. Select Cub Scouts will be allowed to ride INSIDE!! Extra scouts can be an "honor guard" escorting (ie walking) in front with pack flag etc. We have an option to have another vehicle (possibly decorated) as part of the procession. Bring plenty of water/sunscreen/a couple of extra garbage bags. Okay to bring bottled water aboard, but no soda, no candy, gum, munchies, and NO flip-flops. Along with this honor goes responsibility. Our pack is being offered the opportunity to wash the Huey the evening before the parade. Buckets, wash cloths and clean water are provided, and the Scouts scramble around hand washing the airport dust off the aircraft. It's not a dirty job and we like to have parents stand near the doors for safety. The aircraft is at the base of the control tower at Buchannan Field (Concord, CA), at the end of John Glenn Rd. It is located on the edge of an active airport, and the FAA is looking over our shoulder. We need to do a good job of managing Scouts out there. 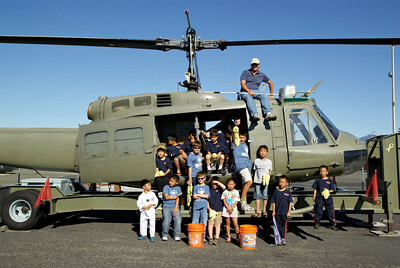 Does Pack 1776 want to spend an hour or two scrambling around in a Vietnam vintage warbird on Saturday the 3rd at 5pm? Participation in the helicopter wash increases your likelihood of riding in the helicopter during the parade! Please respond to Evelyn Chin (Pack Parade Coordinator at Sons3bgt@aol.com ) and me (evans.scott.ching@comcast.net) with both your interest in the parade and the washing, ASAP. We need to confirm our participation by June 11th! !